Welcome to Freelance Mum! We'd love to have you as a member - the membership is an annual payment of £45, which also includes your ticket to this event, plus discounts on all future events AND free pass to the Lido worth £20! These tickets are discounted to £9 for Freelance Mum members only. If it's bought in error, by non members, don't worry, we'll drop you a line after. If you'd like to become a Freelance Mum member, you can buy the Freelance Mum Membership ticket for £45, which includes this meeting. As Becky leads an army of women, to stay stylish and only buy second hand clothes for a year - we'll be hearing her insights. Plus, with the Royal Wedding this month, we want to know how we can stay stylish with champagne tastes, on lemonade budget. We're really proud that for the second year running, this meeting features in the Bristol Walk Fest,with our signature 'netwalk'. With apologies for any confusion re dates - we are meeting on Tuesday 8th May, not Monday 7th as advertised in some leaflets. We are also honouring the published ticket prices of £9 for members or £12 for non members, all future events will be at the new rate of £15 and £20. This is not your regular networking event. At Freelance Mum, not only will you be able to connect with likeminded businesswomen (and the occasional freelance dad too! ), you'll also be able to bring your kids along. They'll be well catered for with plenty of toys to play with, and no one will mind if you breastfeed your baby while you chat or have to stop a conversation to change your toddlers nappy. The group meets on the second Tuesday of every month at St Paul's Church in Southville and at Windmill Hill City Farm on the fourth Friday of the month. The exception is August, when we all take a much needed break, and March, when we pull out all the stops for our Brave, Bold & Bonkers showcase event on International Women's Day, which is held each year on 8 March. A well-earned drink and a tasty something sweet from our sponsors Cafe Direct & KudaCan. Be informed and inspired by our guest speaker while your little ones are entertained with craft activities from Luke Drew This. A chance to catch up with anyone you havenít yet spoken to, and pencil in a couple of 121s. Tickets for Freelance Mum networking events cost just £12 for non members and £9 for members, and all refreshments are included. Check out the membership ticket options when it comes to buying. It really is a wonderful space for freelance mums and their kids, so why not give it a go? Can I buy a ticket on the door? We have a limited number of places at each meeting, so booking in advance is a good idea. There may be tickets available on the door, priced at £12 each, but we can't guarantee you a space unless you book. I can't make the event after all? If you make a booking but aren't able to come after all, we can offer you a refund provided you give us 48 hours notice before the event. I don't have my children that day can I still come? You are more than welcome to come without your kids if a meeting falls on a day when you already have childcare in place. I'm a freelance dad, can I come? Yes, while these events are aimed at mums in business, if this is something as a Dad you identify with too, we'd love to have you! I can't make all of the meeting, is it still ok to attend? Of course, just let us know when you can join, we'd love to have you. My business is just a germ of an idea, not even a start up, can I come? Yes, this is a place where ideas and people flourish. We encourage people at all stages of their business to come, it's a great place to exchange ideas and grow. If you have any other queries or questions, please don't hesitate to contact us! Parking: For both venues there is parking in the near by Asda car park, where you can park for FREE for 2.5 hours. At St Paul's Church, there is also meter parking, for 3 hours. Plus at Windmill Hill City Farm, there is the NCP Carpark, Dalby Ave.
Four years on and mum to two girls, Faye keeps herself busy juggling work around motherhood. She can often be found behind the microphone in her home studio, recording television and radio adverts, in between organising Freelance Mum events. 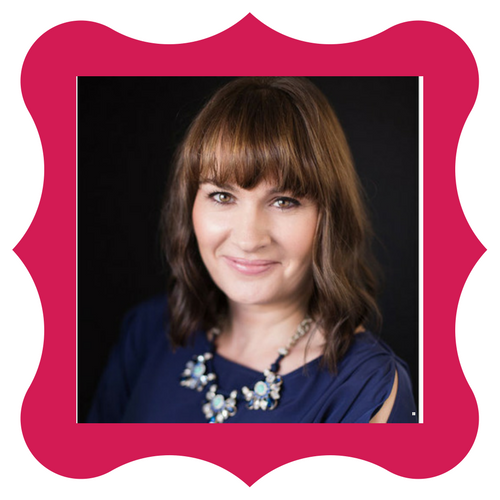 A highly driven woman on a mission, to support fellow freelance mums - who has recently been nominated as the Top 100 most influential women in the west. Worth making the mother of all connections.